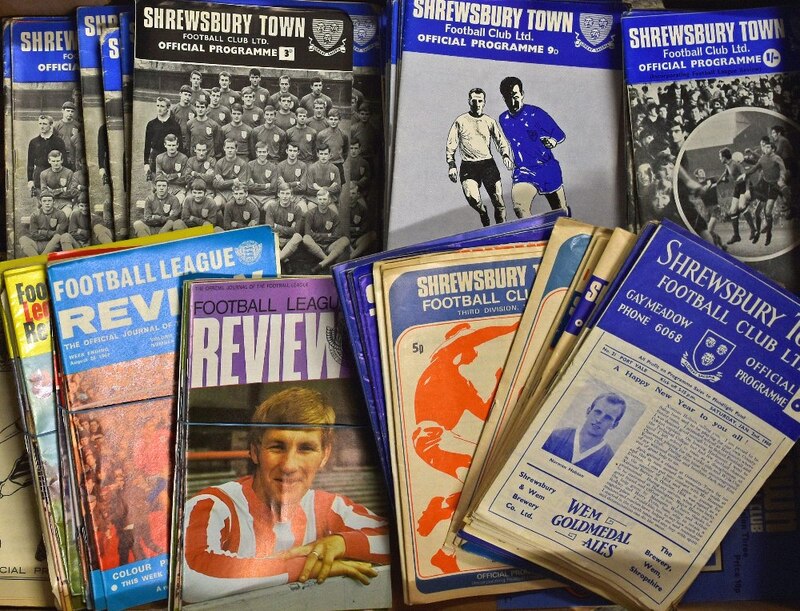 Collection of Shrewsbury Town home programmes from 1960 to late 1970’s plus a few aways. 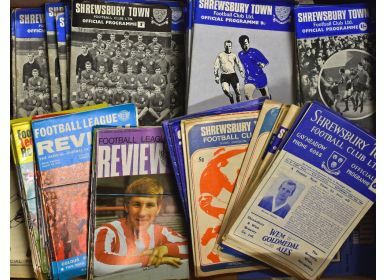 Also includes late 1960’s Football League Reviews 1966-1969. (1 box of quantity) Fair-Good.